Do you enjoy Mediterranean food? Well you are in luck. I had the pleasure of going to Al Baraka for this fine Tasty Tuesday. Al Baraka is next to Brickhouse and offers a fine taste of home-cooked Mediterranean Cuisine. Al Baraka offers a wide selection of Mediterranean options on their menu, so the only problem you will have at the restaurant is deciding what you want! 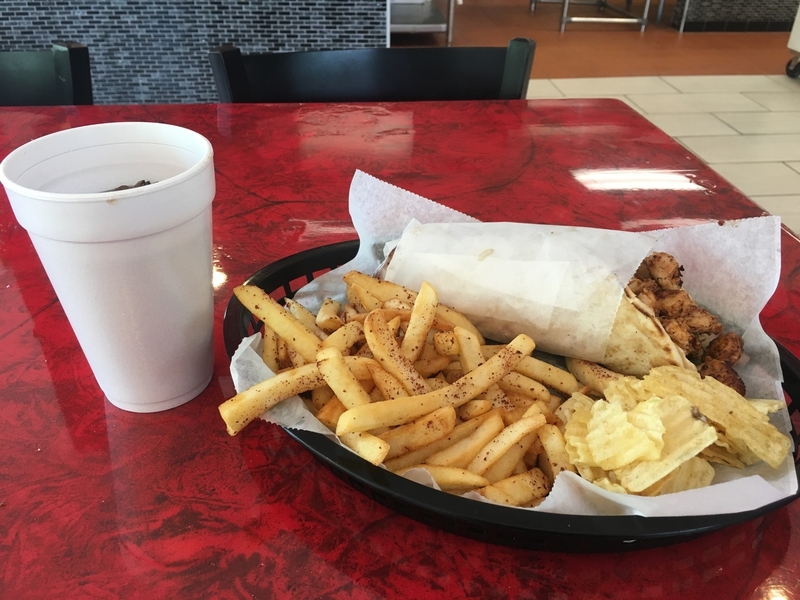 I personally decided to go with something simple…the chicken gyro. Not only is the service and atmosphere one-of-a-kind here, but the food is delicious and your order is always guaranteed to fill you up. My gyro came with fries and chips and by no means did they short me in either category. 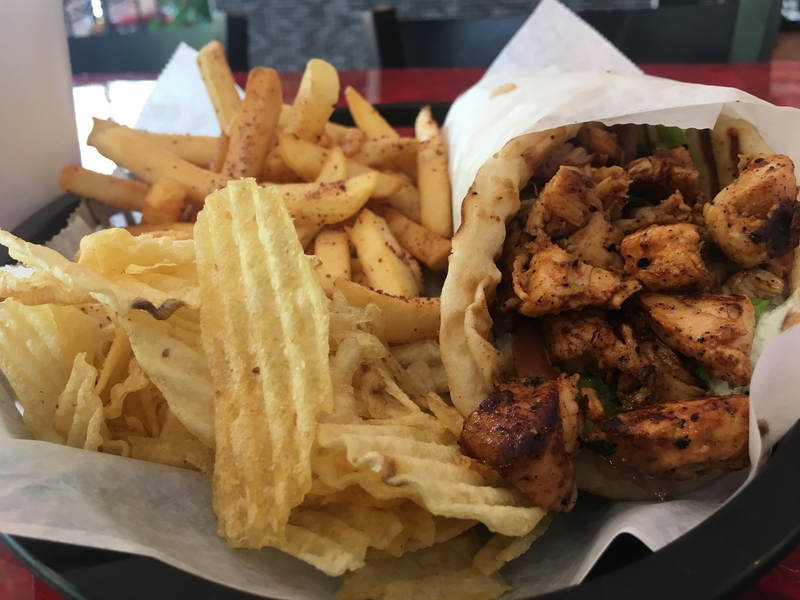 The gyro itself was filled with a mound of freshly-cooked chicken and topped with onions, lettuce and tomato. There was so much food I couldn’t finish it all. Out of the many Mediterranean restaurants I have visited, it is safe to say that Al Baraka feels incredibly authentic. Their menu is extensive and, not only is their food delicious, but they give you A LOT of it. If you are in the neighborhood, or just want to give a new restaurant a try, I highly recommend checking out Al Baraka. I was more than pleased with my visit.